There are 2 ways to view and fill out the Request A Quote form. 1. Download the form and view it in Adobe Reader or Adobe Acrobat. 2. View the form in your browser (Firefox & Chrome) using Adobe Reader. By default your browser will only “preview” the form using it’s own PDF reader. However, our quote request form contains additional functionality for your convenience. To view our form simply configure your browser to use Adobe Reader instead. It’s very simple to do this. 3. In the Applications tab, type PDF in the search field. 4. 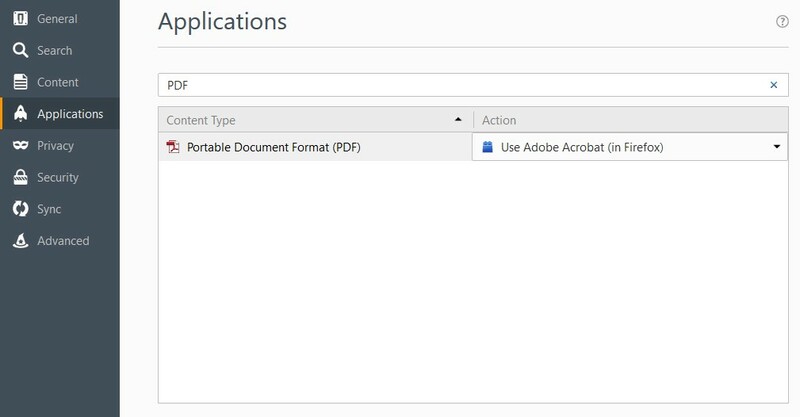 For Portable Document Format (PDF), select Use Adobe Acrobat (in Firefox) from the Action drop-down list.